Hello! 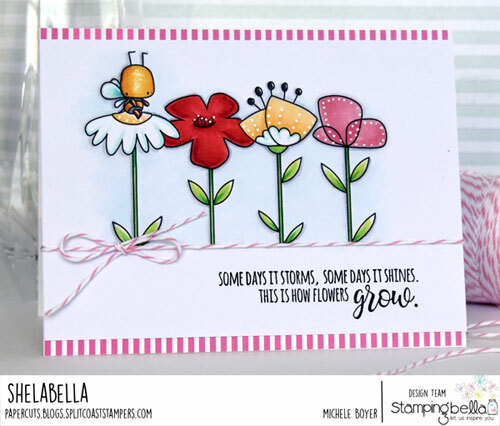 I have one final sample to share from Stamping Bella‘s June 25 release. Today I used new Little Bits Florals with one Little Bits Critter. 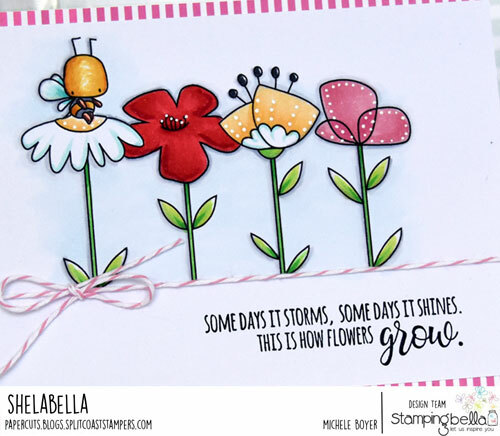 I used a Flower Sentiment and Simple Stripes paper from Queen & Company.